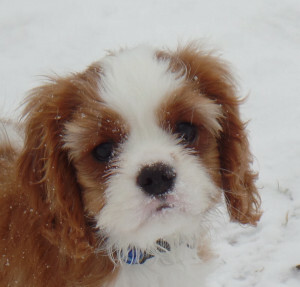 The Cavalier Alliance is a non-profit and we rely heavily on the generosity of our donors to provide the much-needed veterinary care for pups in our program. Monetary donations are always much appreciated, no amount is too small and you can donate by clicking on the paypal link below. - Two of the most popular ways involve are simply shopping on line through our iGive and Amazon Smile links, and setting your designated charity to the Cavalier Alliance for Rescue, Research, and Education. These options do not cost you any additional monies for your purchases. The merchants designate a portion of their profits to eligible non-profits and we are fortunate to participate! - Active walkers and runners can also support us through WoofTrax on smartphones. The pups in our program receive a donation for miles walked or run. - Run a fundraiser on Facebook and ask your friends to donate. This could be in honor of a birthday, in memory of a pet, in support of a pup in our program, or any other reason. - Host a local fundraiser in your area. Paint your Pet nights, Yappy Hours, Wine tastings and more are all a possibility. Contact us to discuss your ideas! Other, more direct ways to contribute include paypal and check donations, participation via eBay Giving, and donations through Guidestar. If you wish to leave a bequest to the Cavalier Alliance in your will or trust, please contact us for more information and any documentation you may need.